OMG Posters! » Archive Two New Art Prints by Brainstorm - OMG Posters! Brainstorm Print and Design has two cool new art prints up for sale. 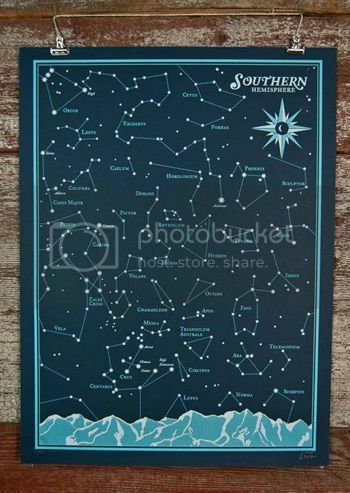 The “Northern and Southern Hemisphere Star Charts” are 18″ x 24″ screenprints, have editions of around 150, and cost $30 each. Visit WeAreBrainstorm.com. no glow in the dark? Great Posters, I really dig the choice of colors. 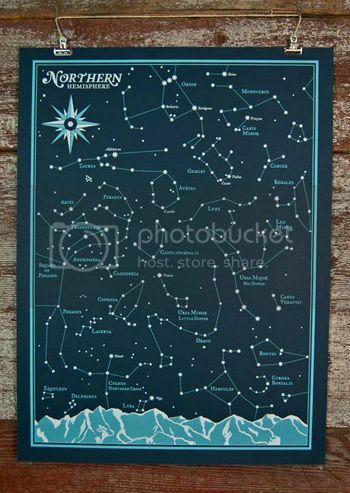 Can I buy the “Northern and Southern Hemisphere Star Charts” in Australia? Or can you ship to Oz?